Texture(d) is an exhibition of tactile prints which reverse the technological disconnect of flat, digitally printed matter found on screens and examines printmaking beyond the two dimensional realm. Batista provides the viewer a bridge to reconnect with the real and lived present through the experience of sculptural prints. The installed prints combine letterpress debossing and handset lead spacing, bringing attention to objects that three dimensionally exist, but traditionally remain unfelt and unseen. 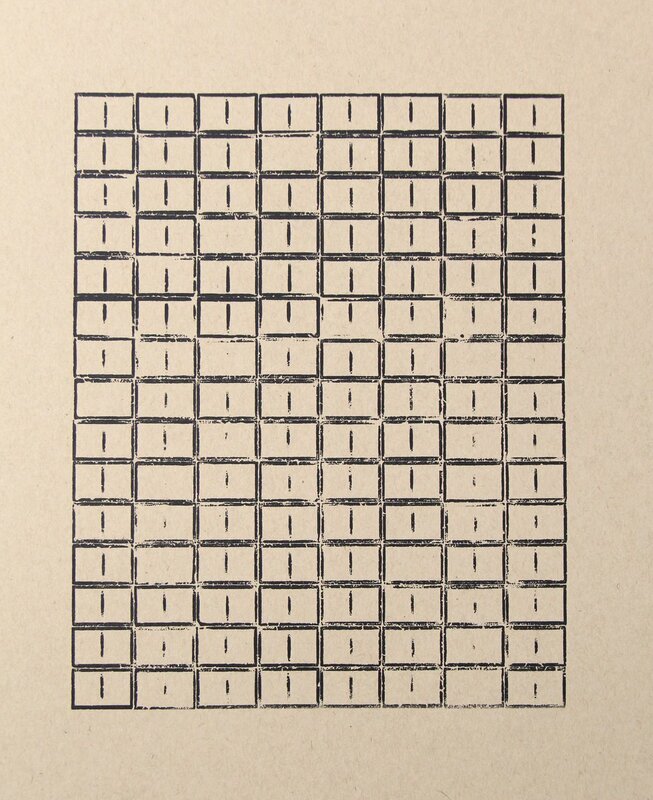 Increasing the viewer's desire to engage with text through physical connection and touch, Texture(d) makes the overlooked tools in printmaking the prime focus. Born in Panama City, Panama, Elysa D Batista earned her Masters of Fine Arts (MFA) from Parsons The New School for Design in 2013 after receiving her Bachelors of Fine Arts (BFA) from the University of Miami in 2009. Her three-dimensional work explores the multiplicity of meanings in accordance to sociopolitical power dynamics and national identity. Batista carves, cuts, and folds manipulated digital typography onto materials including wood and aluminum, which are then mechanically affixed onto material such as plexiglass. Batista continues to investigate the role of our perpetually evolving languages, and their application as an interpretive tool for comprehension of the world as a whole.